This presidential election cycle has elicited a variety of reactions to the major party candidates. One of the more frequently heard refrains is, “I have to vote my conscience,” generally implying some protest vote against one or both of the frontrunners. Here I offer a few thoughts on voting according to one’s conscience and voting as an act of protest through a meditation on one of the late saints among us. Of those Great Souls taken from us in 2016, few figure more prominently for me than that of Father Daniel Berrigan, the polarizing prophet, priest, and peace activist. 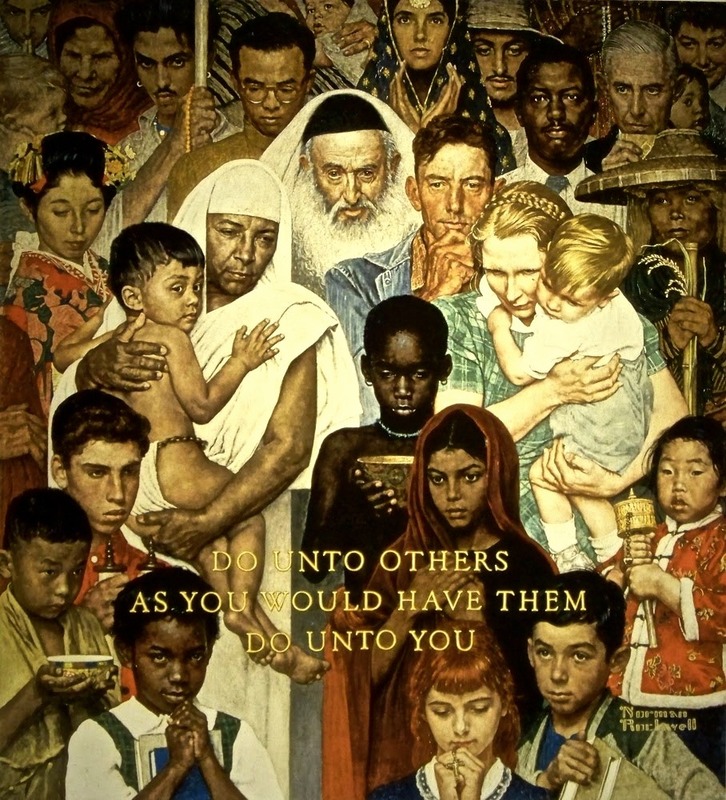 More than a decade ago, as a Boston College undergraduate attending the Ignatian Family Teach-In for Justice in Fort Benning, Georgia, I clearly remember the passionate contributions of the Berrigan family to the weekend’s program. Here before me were the Berrigans my dad had told me about—men who, on May 17, 1968, broke into the Caton sville, Maryland, draft board, stole 378 A-1 draft files, and publicly burned them in the parking lot in the bright light of day with homemade napalm. The action took less than fifteen minutes. They and their seven Catholic compatriots waited for the police to arrest them and, following trial, were all sentenced to two or three years in jail. While some—including Dan Berrigan—evaded jail for a time, all eventually served their sentences. For Dan, protest grounded in good conscience was disruptive, other-oriented, and often done at great personal cost. What I learned about conscience and protest, I learned not only in the classroom from some of the finest theological ethicists working today but also on the street from some of the most seasoned and principled peace activists. The ethicists taught me this: to act out of conscience one must choose for oneself how one ought to act and that that action must be firmly rooted in a love for the highest good of all concerned. When I act out of conscience, it is my choice alone but I have discerned how to act in community and for the good of all. When we act out of conscience, we are fundamentally open to others, choosing to act out of love for the good of many, shaping ourselves in response to others, looking towards the future. It is not the reactivity of one’s superego. In Reason Informed By Faith, Richard Gula distinguishes the conscience from the superego. When one acts under the influence of the superego, one’s choices are driven by fear, a need to blindly meet the seeming commands of an outside group or authority. The superego tends to the individual person’s need to feel secure and looks to individual acts rather than the context of a larger pattern of action. Choices made by the superego are oriented to the past and seek to maintain things as they were. It sees punishment as the means of returning to the way things were. When acting informed by conscience, one’s choices are motivated by love and they are one’s own—chosen because, while perhaps difficult, the moral agent wants to do it and does not feel obligated by some outside authority like partisanship. Acts made out of conscience open one up to relationship with others, the choice is, by and large, one that makes the agent vulnerable. Acting out of conscience means acting consistently with a larger, intentional pattern of behavior. Choices made in good conscience direct the moral agent toward the possibility of a new, good future for herself and others. The agent is open to seeing the future as different from the way things are now and desires to create a new future. Acting out of conscience does not involve punishing others into submitting to the way she thinks things ought to be. I’ve shared a lot of what I’ve learned from ethicists and moral theologians, but there’s one immensely important lesson I’ve gained from the activists: protest is grounded in a willingness to sacrifice acutely for others. That is what protest is for—sacrificing one’s own life, liberty, and pursuit of happiness, so that others, especially the marginalized and oppressed, have a greater chance at theirs. When I hear voters say or imply their vote will be a protest one, I wonder whether it meets the criteria of an act of conscience. Is it for a higher good or does it serve their own self-image? Are they trying to punish a particular candidate or ensure a government that secures basic rights to its most impoverished or marginalized citizens? On a real level, I’m convinced that some, but not all, of such voters are not acting in good conscience but out of ego because in their “protest” they will have not sacrificed anything acutely; instead, they are de facto creating conditions in which others more disadvantaged than they will suffer acutely while they escape relatively unscathed. These protest votes seem more like ego votes but in reality, neither exist. Thinking otherwise is an exercise in delusion. They are simply votes. Votes for the candidate that receives them, pushing that candidate closer to the winner’s circle. When we have a President-Elect, your intentions and rationale and eloquent arguments behind your vote will. Not. Have. Mattered. You, by omission or commission, assisted the nation in choosing that person to be the next leader of the free world. Who among the candidates do you want to write into history? Acting out of love means being open to some difficult truths faced by others and I articulate a few here with what I intend as a conscientiously prophetic yet loving tone. Some tough love. The reality is that the poor cannot afford to sacrifice four years because the privileged massaged their egos with what they believe is a retaliatory vote. Anything else is folly, no matter how eloquently argued. Further, I suggest if your discernment considers only your personal values apart from the rights and duties a civilized society owes to the poor, the sick, the marginalized, the underpaid, the unemployed, immigrants, women, children, the elderly, people of color, prisoners, our religiously different others, the queer community, refugees, and the recipients of U.S. foreign aid, frankly, you’re doing it wrong. Our conscience helps us to choose the good to do and the evil to be avoided. I was recently reminded that the words for “good” and “evil” in the original Aramaic of the Lord’s Prayer are more accurately rendered, respectively, as “ripe” and “unripe.” When Christians pray to be delivered from evil, they are in some way praying to be saved from unripeness or immaturity. Some Christians, like Dan Berrigan, have indicated that as pacifists they could never vote for a commander-in-chief of the armed forces. I won’t pretend to tell you that I know how Jesus would vote. 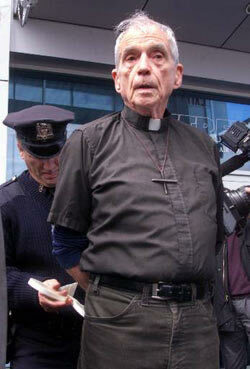 Dan Berrigan never voted in his life but sought instead to make the whole contribution of his life dedicated to peace. I wish I could share his views on this point but I do not. In solidarity with many around the world who have been denied suffrage based on their gender or ethnicity, I, in good conscience, cannot sacrifice my vote, even if that means electing a commander-in-chief. When I consider the four major candidates on the ballot this Election Day and discern for myself who among them is seasoned and mature enough for the job, who is most capable of crafting a future in which thrival for the least among us is possible, who is most likely to be in a position to do so, who is most ripe for the honor of being the leader of the most powerful nation in the world, who is the candidate whose time has come, there is only one candidate I would vote for and I will do so gladly, free from fear, with a full heart. I only hope others will do the same. ← How Would Jesus Vote? Introducing Shark Week X.
I knew Dan Berrigan. I believe he solved the problem of voting your conscience by not voting. good article! I, too, am a Fr. Berrigan fan. When I was in the high school seminary, in my freshman year (1973) the senior class put on his play. Such a compelling essay. I am circulating it to my “vote your conscience” friends. Thank you, Christine! (My conscience would not allow me to let you go unthanked.) No, there is no pacifism without courage.